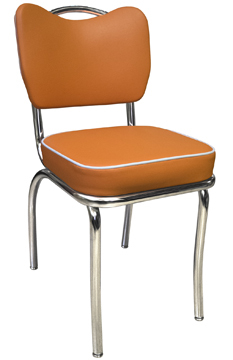 New Retro Dining is proud to present our Made in USA 1950s retro dining furniture. This is a classic retro diner chair which is perfect for restaurants and bars or for your commercial grade kitchen dinette set. 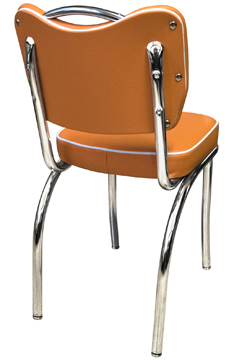 This retro chrome plated chair frame has a LIFETIME WARRANTY! 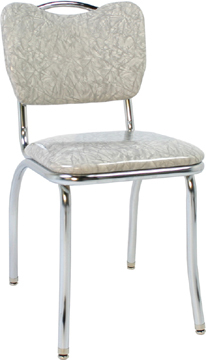 Classic diner chair with curved handle back, chrome finish only. 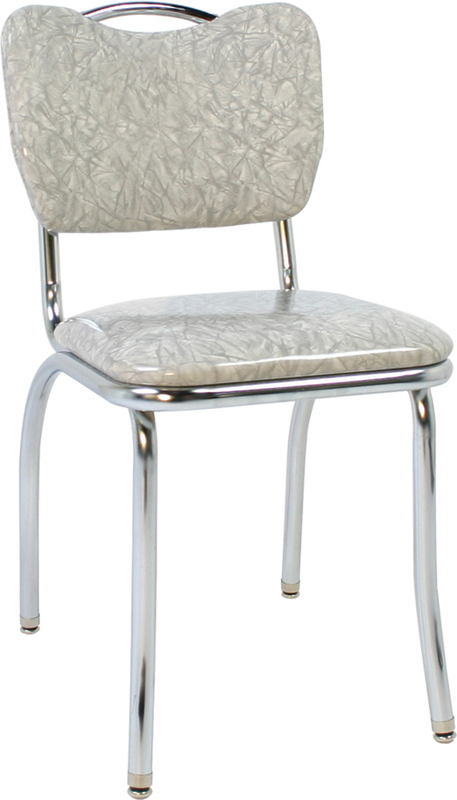 Shown in GR3 Gray Cracked Ice on left.